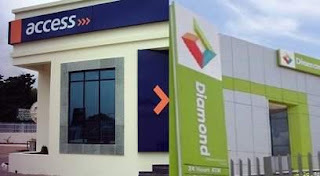 Diamond Bank had last week announced its decision to drop its international operating licence to focus on national operations following capitalisation issues. The official announcement of the transaction will be made in the course of the week by the Central Bank of Nigeria, CBN. The acquisition was midwifed by the CBN in a bid to further consolidate the banking industry. Uzoma Dozie, the bank’s Chief Executive Officer, confirmed the development. “With this approval, the bank will cease to operate as an international bank,” Dozie had said. “The re-licensing as a national bank supports Diamond Bank’s objective of streamlining its operations to focus resources on the significant opportunities in the Nigerian retail banking market, and the economy as a whole. “The move follows Diamond Bank’s decision to sell its international operations, which included the disposal of its West African Subsidiary in 2017 and Diamond Bank UK, the sale of which is currently in its final stages.